“Originally the idea was to make a buddy cop kind of game, so for me this was a kind of spiritual successor to Contra. It was cheesy and this kinda 80’s vibe to it.” The relation between the classic Contra series and EA’s shooter is kind of striking when you think about it. Army of Two may not go over the top in quite the same ways, but the idea of two American muscle bound heroes teaming up and kicking the crap out of pretty much everything hasn’t been so clearly replicated until Rios and Salem came along. Of course, Hutchinson wasn’t insisting that Europe were in the wrong, his demonstration of how the sequel will balance out the serious chatter with the banter earlier shows that the team are catering for both preferences this time round. 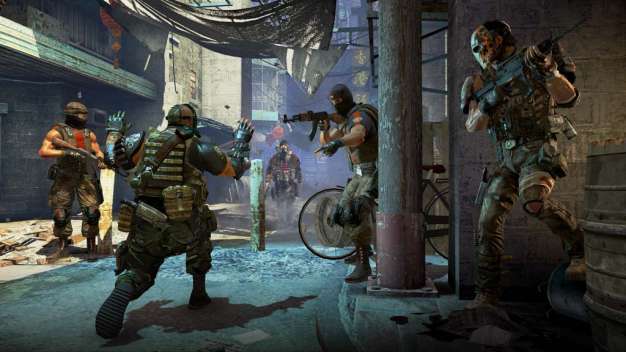 Army of Two: The 40th Day is available on the 12th day of January 2010.